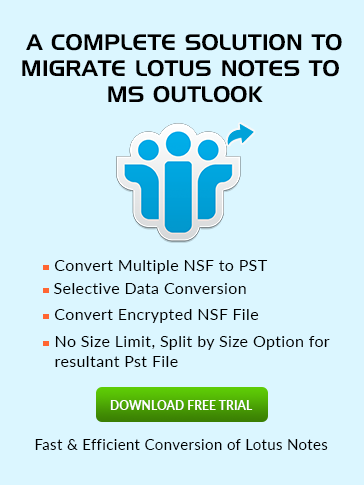 In the very first steps Open Lotus Notes and go to File Menu and then select Security and then User Security. Now in the left panel of User Security select Your Identity and then choose Your Certificates to get the Validation. Now click on Get Certificates dropdown menu and choose Import Internet Certificate option. Now "Specify file…" window will pop up. Locate the PKCS#12 certificates that you want to install and click on Open Button. Now a dialog box will prompt to ask you the file format of Certificates stored in. choose PKCS#12 Encoded and then click on Continue to precede furthur. After that fill the accurate password in the required field and click on OK Button. Now a window will open which consist All Internet Certificates you have to click on Accept All button. A window of "New Certificates were accepted …" will comes up click on OK button. Now your Security certificates are updated.